My specialty is in working with men, women, and couples in transition. Though my offices are based out of Andover and North Andover, my main service area includes the Merrimack Valley, North Shore, Southern NH and Greater Boston areas. 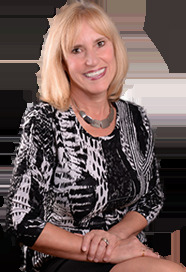 I am licensed to sell real estate in both Massachusetts and New Hampshire. Upon request, I would be happy to assist you in relocating elsewhere in the United States. My clients receive the highest level of service, and it doesn't end at the closing. I often work for several years with people before they are ready to buy or sell. They know I will stick with them through the long haul. Please feel free to use the special features of my site and contact me with any questions you may have. Listings featured by Catherine & RE/MAX Partners. See what clients are saying about Catherine. Register for Daily Email Updates.